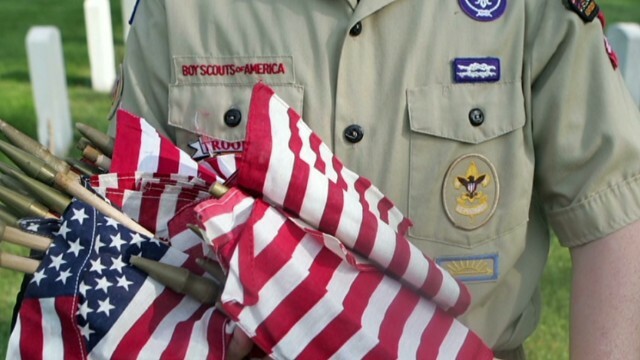 Editor's note: Lawyers suing the Boy Scouts of America have released more than 20,000 confidential Boy Scout documents identifying more than 1,000 leaders and volunteers banned from the group after being accused of sexual or inappropriate conduct with boys. The Portland, Oregon, attorneys are releasing the Scouts' 1,247 "ineligible volunteer files" from 1965 to 1985 - with the approval of the Oregon Supreme Court - after it won an $18.5 million judgment in 2010 against the Boy Scouts in a case where a Scoutmaster sexually abused a boy. The attorneys also said Thursday they're calling on Congress to audit the group's current child abuse policy to "see if they are doing what they say they are doing and if they are effective." The attorneys, who represent victims in several lawsuits against the Scouts, say the Boy Scouts hid evidence from the public and police, and that the so-called "perversion files" offer insight into what they deem a serious problem in the organization. Below are details from the lawyers' Thursday press conference, and the Boy Scouts' reaction. "Nothing is more important than the safety of our Scouts. There have been instances where people misused their positions in scouting to abuse children, and in certain cases, our response to these incidents and our efforts to protect youth were plainly insufficient, inappropriate, or wrong. Where those involved in scouting failed to protect, or worse, inflicted harm on children, we extend our deepest and sincere apologies to victims and their families. The Boy Scouts also say that the files "are not - and have never been - secret." "They have been reported extensively in the media going back to the New York Times in 1935, included in books on scouting throughout our history, and were the subject of numerous news articles and a book in the 1990s," the Boy Scouts' statement says. "Further, the files are known to many of the millions of volunteers in scouting, because joining the organization requires they be cross-checked against this list. While not secret, the files are confidential because experts agree that confidentiality is a key component of effective government and private-sector reporting programs." The Boy Scouts say their policies "have always required scouting to adhere to state laws in reporting abuse." "Today, it is mandatory that any good-faith suspicion of abuse is immediately reported to law enforcement. In the files released today, police were involved in nearly two-thirds (63%) and a majority of these files (58%) included information known to the public," the statement said. [Updated at 2:20 p.m. ET] The press conference is over. Kelly Clark's law firm in Portland says it has published the files on its website. CNN is not linking out to the reports in this blog post because we haven’t vetted the allegations that they contain, and because the attorneys say that they haven’t checked the veracity of all the allegations.